Samsung Galaxy S2 - Your WiFi stopped working? Many Samsung Galaxy S2 smartphones have one thing in common after approximately 24 months of use: The wifi function becomes more and more unstable resulting in recurring loss of connectivity and - finally - it stops working completely (the wireless switch just jumps back to "off"). The phone becomes functionally obsolete - and Samsung will probably tell you it´s a defect caused by humidity which is not covered by warranty...(if warranty should not already have ended *just* some time ago - coincidence?). The backup battery in the center shows severe battery acid leakage. There is no voltage remaining by the way - the button cell is completely drained and can thus not even fullfull it´s task (saving onboard time and date). 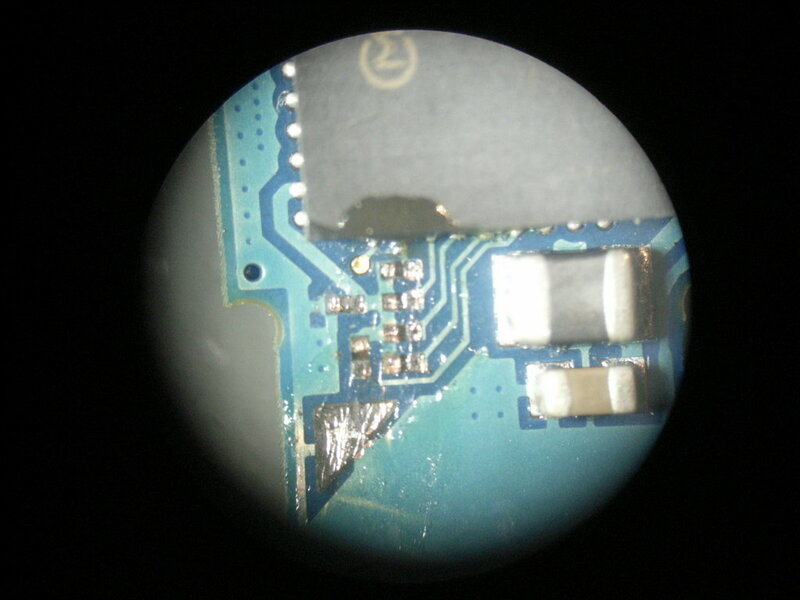 On the right side you see a FA170727-labeled smd chip - this one is responsable for wireless, as well as bluetooth. Let´s inspect the board more closely. The battery acid does - of course - not stay on top of the battery - it will ALWAYS spread out and cause circuit corrosion. The acid moves like a high viscuous liquid - mainly along the circuit traces. The speed of this spreading corrosion depends significantly on external factors such as humidity and temperature. It´s clear, imo, that e.g. the warm and humid atmosphere in your pocket or increasing temperatures either induced by high processor load / wireless activity or by (too) frequent loading cycles can thus speed up this process. As the corrosion doesn´t instantly kill the resistors, capacitors or fuses it passes - it destroys them slowly and not equally fast depending upon their chemical composition - the symptoms of this problem can vary a lot. 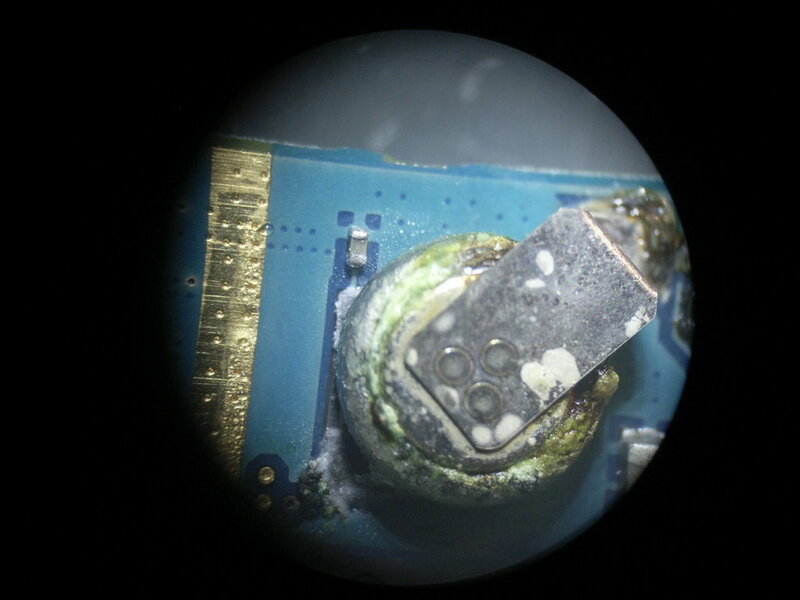 If detected in time the corrosion can be stopped completely by replacing (or even removing) the button cell and gently cleaning the acid away with a Q-tip, previously sucked with ethanol. 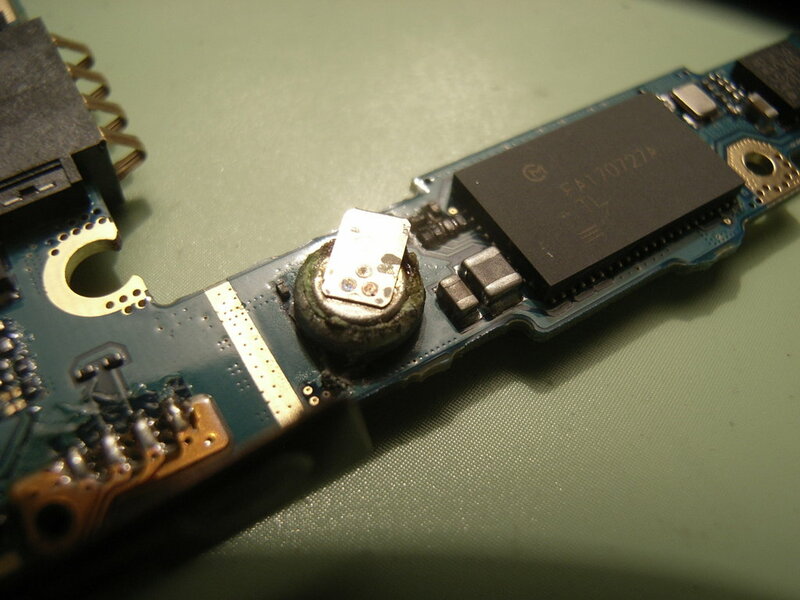 Therefore, if you are somewhat experienced or interested in diy-fixing your hardware - even if you have not noticed any issues with your SGS2 yet - I recommend opening up the phone and just check it for this issue. 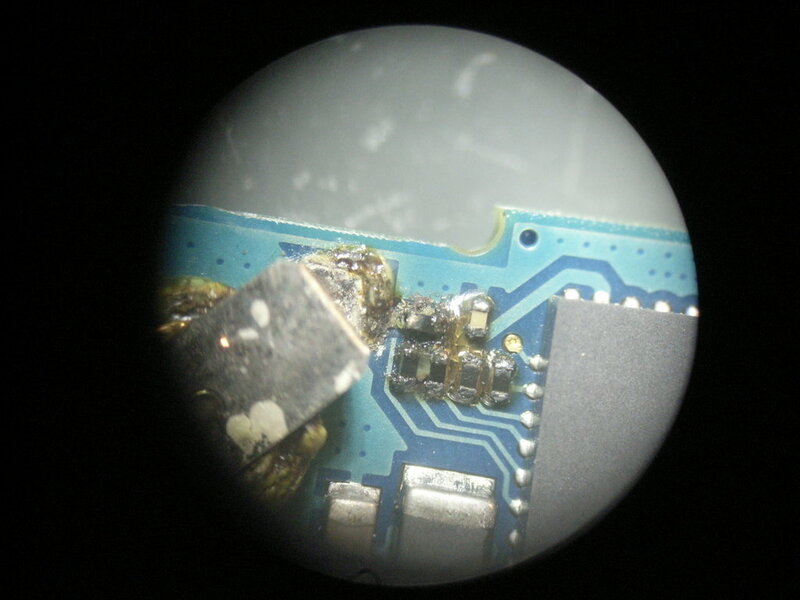 After wifi stopped working completely - as it was the case with the SGS2 in the photos above - even replacing the resistors / capacitors (I salvaged them from another dead SGS2) didn´t help. It´s worth trying, though, and can be achieved with the help of a good ajustable heatgun and a stereomicroscope. After having taken the smd parts away, I cleaned and re-coated the solder joints with tin and covered the area with some sticky soldering honey. 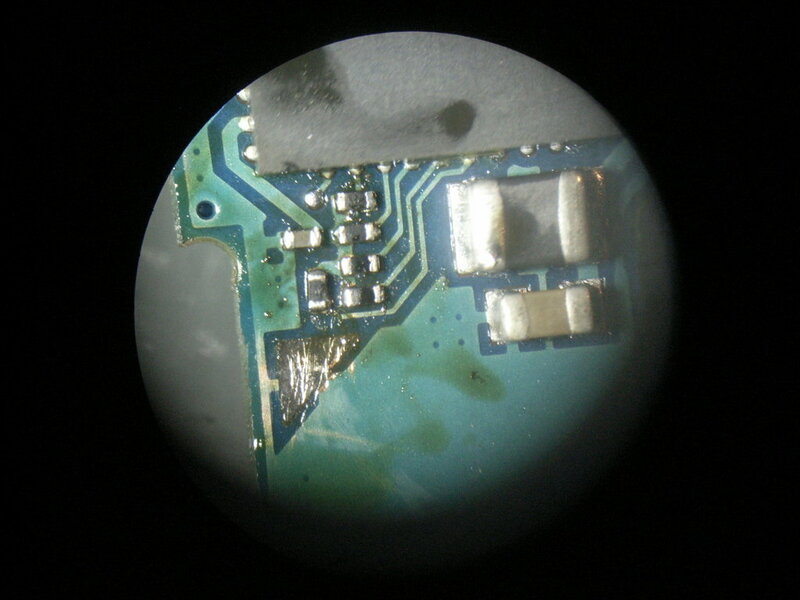 The latter was useful for holding the exceptionally small parts in the right place (the heatgun would blow them away otherwise) and it allows the solder to reflow easily with them (capillary forces are your friend here...). Here the replaced smd parts.